The Cleveland E. Dodge Launch Building displays some of the most notable powered pleasure boats, including a steam launch, the only working naptha engine in existence, runabouts, and cruisers that have put the Antique Boat Museum on the map. 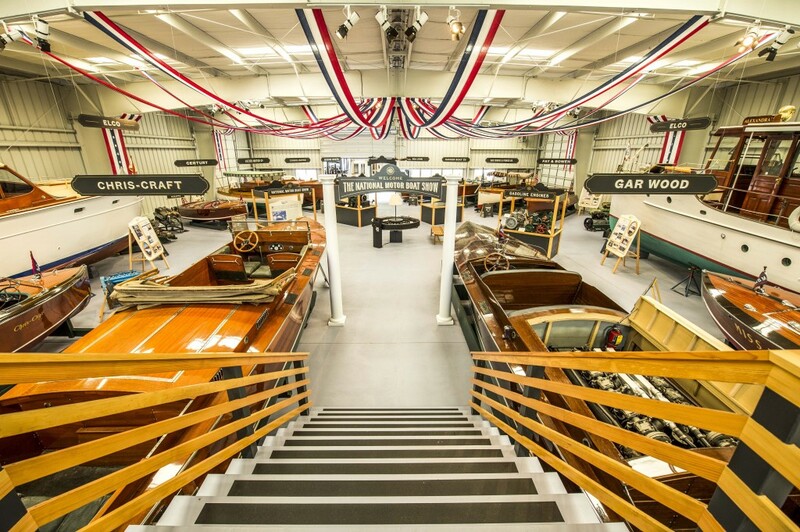 The new installation of “The National Motor Boat Show” highlights the evolution of boating as a pastime in North America through the lens of a period boating trade show. Steam yachts in the mid-1900s were the first recreational powerboats, but scale and complexity restricted them to a wealthy elite. Smaller, simpler power plants evolved in the 1880s, and by the early 1900s the gasoline engine brought power boating within reach of many more people. Soon an industry sprang up to sell motor boats through standardization and advertising. 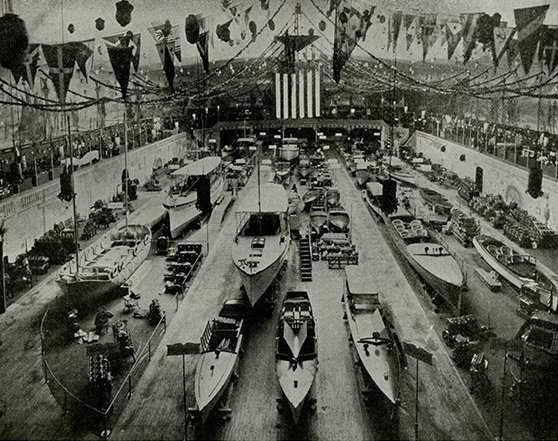 This new industry faced the challenge of educating the public about boating, as well as pushing brand selection. 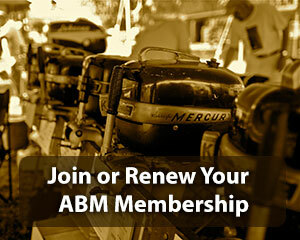 Trade shows such as the National Motorboat Show were created to give manufacturers a forum to display their new products and educate interested consumers. These shows were aspirational and lavishly decorated, inviting people to take part in a new and glamorous activity.